Smile On Dental Salon and Sleep Apnea Center is proud to call Chicago home. We’ve served the city for many years, and have no plans of changing that. We are, however, expanding our horizons with a new location. We now we offer an additional location for the convenience of those of you seeking dental services in Lake County or northern Cook County. 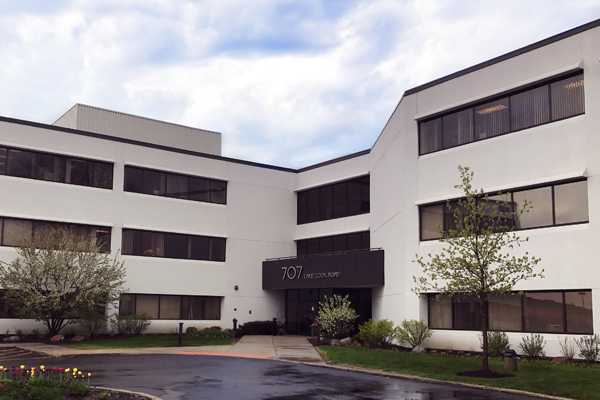 Our new office is located at 707 Lake Cook Rd., Suite 121 in Deerfield, IL. That gives residents of Winnetka, Northfield, Highland Park, Bannockburn, Glencoe and Northbrook access to the same great services we’ve provided a generation of patients in the Chicagoland area. We chose Deerfield for a number of reasons. We knew that Smile On Dental Salon would be in good company, since Takeda Pharmaceutical, Consumer’s Digest, Walgreens and even Caterpillar all call this area home. But more than that, we love the neighborhood, and our new neighbors (all 18,686 of you). If you’re looking for a comprehensive dental practice in Deerfield, IL, you’ll find what you need — and more — here at Smile On Dental Salon and Sleep Apnea Center.